Did you know that the AutoCAD Layer Command is the 3rd most frequently used command in AutoCAD? That should come as no surprise since we are constantly switching from one current layer to another, or manipulating objects via layers. 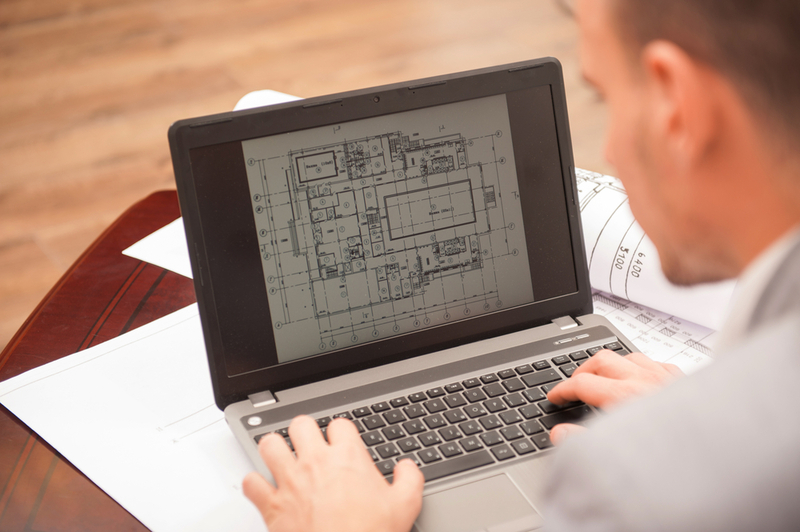 An AutoCAD Layer can be our best friend or our mortal enemy! Let’s take a look at some handy Layer tools that will help you get your jobs done faster and keep you in the Layer “Friend-zone”. If you are on AutoCAD 2018 or higher – simply click on the arrow to the right of the QA Toolbar and you’ll find the new Layer option. This will easily add the Layer drop down. If you are on AutoCAD 2017 or earlier – you will need to do just one extra step. Right click on the Layer drop-down list on the home tab on the ribbon and you will find the same option to add it to the Quick Access toolbar (almost as easy!) They both yield the exact same result. We can also avoid the tedium of switching from one current layer to another by setting up some basic default layers for our dimensioning, hatching and XREFs. I’m a big fan of letting AutoCAD do as much of the monotonous work as possible! You can easily set up a default layer for your hatching from the ribbon (I do hope you are using the ribbon!) For you ribbon rebels (you know who you are) you can also do it the old fashioned way with the HPLAYER system variable. Enter the HATCH command and drop the Properties panel down. Here you will find the option for selecting a Hatch Layer Override. Simply indicate the layer you want your hatch patterns to land on (as opposed to the current layer). One less thing for you to worry about! If you’d like to specify a default layer for your dimensions to land on – you can do so from the Annotate tab on the Ribbon. Here you will find another handy drop-down where you can select a layer for your dimensions that will override the current layer. You can also use the DIMLAYER command to specify a layer (and if that layer doesn’t exist it will create it on the fly!) This is great for Script files. The final default layer you can set is for attaching XREFs. This one is top secret and not found in any ribbon at this time. Use the XREFLAYER command to control the layer that XREFs land on when they are attached (will also override the current layer). Have you ever wanted to combine multiple layers together? No problem with LAYMRG. This cool command began as an Express Tool – then grew up to become a real AutoCAD command (great for you AutoCAD LT folks). You can execute the command from the command line – but it is much friendlier in the Layer Properties Manager. Simply highlight the layers you want to combine together (do not include the destination layer)…right click and select “Merge selected layer(s) to…” from the shortcut menu. AutoCAD will provide one final warning letting you know it is about to “Merge” all the layers onto the destination layer. Merge sounds so friendly…like you are merging onto the freeway. To be clear, you are actually deleting all of the selected layers and all of the objects will now land on the destination layer taking on the properties of the new layer! It is slightly more extreme than a friendly “Merge”. I’ll leave you with a handy one – LAYP (or Layer Previous). This guy is hidden under the Layers panel on the Home tab (unfortunately!). Do yourself a favor and use the technique I showed you earlier to move it to the Quick Access toolbar for easy access. Be sure to try these Layer tips and you’ll be on the road to less tedium and more productivity! Until next time – Happy AutoCADding!